As part of the shuffle plan the Board of Education offices would be relocated to 35 Leroy Ave. The plan came under fire from Democrats who argued there was no demonstrated need from the BOE for more space. In a decisive vote, the Representative Town Meeting approved funding of nearly $7 million for the proposed shuffle project. The funding, which was approved by a vote of 58-28 and was previously approved by the Board of Selectmen and the Board of Finance, faced its final hurdle Tuesday night as it went before a special meeting of the RTM. Before the vote was taken, elected officials, RTM committees and others in attendance were given the opportunity to voice their opinions on the project. Despite some members not being completely behind the project as proposed, nearly everyone in attendance agreed the senior center issue had to be addressed. Bruce Orr, chairman of the finance and budget committee, said the shuffle project was the right decision because its impact on residents would be minimal in terms of costs. "There is a cost of about $60 per taxpayer over the 20 year period of the bond," Orr said. "An estimate of the operational costs for the new facility calls for an annual savings of $19,000." However, not everyone agreed with the scale of the project. District II member Elisabeth Bacon said some of the concerns raised by fellow members were the speed with which the project was moved through the committee; the use of 35 Leroy for the Board of Education offices; the lack of a financial statement and operating costs and the lack of a mission statement for the project. Under the proposed shuffle plan, the BOE offices would be moved to 35 Leroy Ave. and the BOE maintenance staff would move to the town garage. 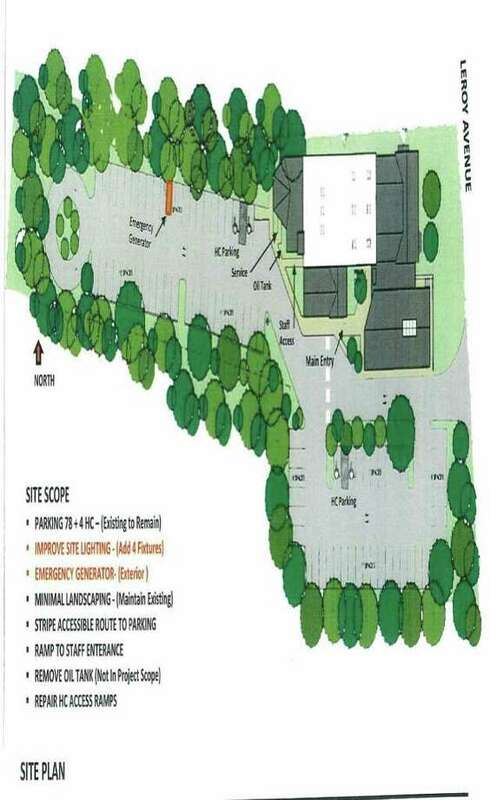 The Town Hall Annex, which the BOE currently occupies, would be converted into a senior center/community center. The existing senior center on Edgerton Street would eventually be torn down but that cost would not factor into the shuffle funding.